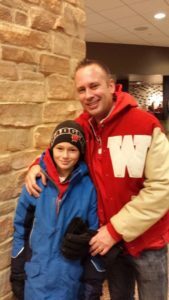 Scott Brinen is the Owner and Head Coach of the Badger Track Club, and is a former UW Track and Field and Cross Country athlete living in Madison, Wisconsin. He is from Racine Wisconsin where he ran at Racine Horlick High School finishing 4th at the high school state cross country meet, and 3rd in the 3200M at the state high school track meet. He went on to the compete for the Wisconsin Badgers track and cross country teams and competed for 3 years after college for Wisconsin Runner where he competed in 2 USATF Cross Country National Championships. His expertise is in 1,500M-10,000M on the Track and Cross Country. Scott also has extensive background at Road Racing as well doing that for 3 years post college with Wisconsin Runner. He is a 5 time Light House Run Champion winning three 4 Mile Run championships 92′,93′,94’and two 10 Mile Run championships 97′, 99′. He has the most Light House run victories in history of the race and is a member of the Light House Run Hall of Fame in Racine, Wisconsin. Scott competed in Cross Country and Track for the Wisconsin Badgers graduating in 1997. He was a member of 6 Winning Big Ten Championship teams(2 in Cross Country, 2 Indoor Track and 2 Outdoor Track). 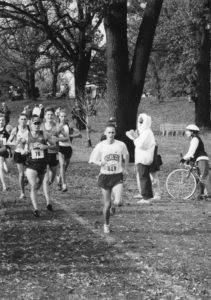 He competed in 2 NCAA Cross Country Championships for the Badgers, in 1995 and 1996. In his senior season he placed 61st at the NCAA Championships and his team finished 6th. He also competed in 2 USATF Cross Country Nationals finishing in 58th place in 1999 before retiring from the sport. Scott has been coached by and mentored by the best of the best. Coached by Martin Smith and Jerry Schumacher while at Wisconsin in Cross Country and Ed Nuttycombe on the track. This mentoring has given him a unique insight into distance running and track and field. On the track he competed in the 1,500, 3,000, 5,000 and 10,000 meters for the Badgers under the great Ed Nuttycombe. Nuttycombe became the winningest men’s track coach in Big Ten history in 2007 when he won his 23rd title. Scott was a member of 2 Big Ten Indoor Big Ten Championships and 2 Big Ten Outdoor Championships. During Scott’s time at the UW, the Badgers never lost a Big Ten track and field Championship. Scott was a contributing member of the Triple-Triple Crown Championship teams and scored in all but one of the teams Big Ten Championship meets he competed it. His Badger teams are the only team in Big Ten history to ever win a triple crown in Cross Country, Indoor Track and Outdoor track in one season. During his time there, the team went on to win a triple crown in all 3 sports an unprecedented three times in a row. Scott is the meet director for the 2019 USATF Junior Olympic National Cross Country Championships that will be held in Madison, Wisconsin at Yahara Hills Golf Course. Scott is a member of the Executive Board of Directors for the National W Club representing the many former letter winners at the University of Wisconsin. The Mission of the W Club is to nurture the legacy, tradition and values that come from participation in intercollegiate athletics, and to deliver services that enhance letter winners’s lives through connections to each other, Badger Athletics, the University of Wisconsin and Badger Nation. He also works as a track official and meet announcer for the Badger Cross Country and Track programs. Dayna Bonner is from Zanesville, Ohio and graduated in 2010 . She competed in the 100, 200, 400 and hurdles on the track as well as the high jump in the field. She currently lives in Madison Wisconsin. She loves sports especially volleyball and running. She is currently attending Madison College in the laboratory technician program. Dayna will be coaching sprints for the Badger Track Club. 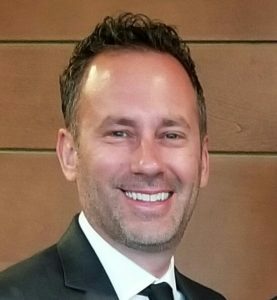 Todd Goldbeck, DPT, ATC, CSCS, STC is the Owner/President of Xcel Sports Training, and also the Executive Director of Xcel Foundation, which is a 501c3 non-profit. He is a native of Jefferson, Wisconsin, where he was a two-way starter on the JHS State Championship Football Team. Todd was also a State Champion in Track & Field, All-State in Wrestling (2X) and Class Valedictorian. 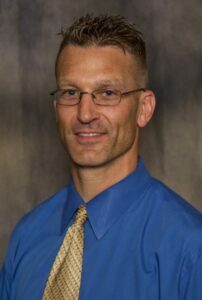 Todd holds a Doctorate of Physical Therapy Degree (DPT) from the University of Wisconsin – LaCrosse. While in attendance at UW-LaCrosse, Todd was a four-year letterwinner and earned Academic All-American honors as a cornerback on the Eagles NCAA National Championship Football Team. 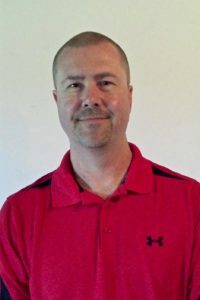 Todd is a licensed athletic trainer (ATC), a certified strength and conditioning specialist (CSCS), as well as a certified sports therapist (STC) and a high school wrestling official. 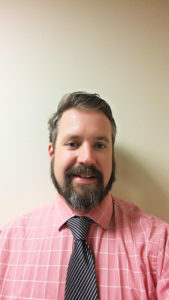 He is also a personal trainer for athletes ranging in ages from elementary school through college, emphasizing injury-prevention and well-rounded athleticism, according to each individual’s strengths and weaknesses, as well as their future goals. Todd is currently coaching a variety of youth sports in the Middleton area, which include Wrestling, Flag Football and Track & Field. His Track & Field events when competing were 300 hurdles, 100m, 200m, 400m, 4×100, 4×400 and pole vault. John Fiegel ran CC and track in high school and was named MVP in both his senior year. As an adult he has continued to run, competing in numerous marathons, half-marathons, 5Ks and even some duathlons. John is a freelance graphic designer living in Madison. 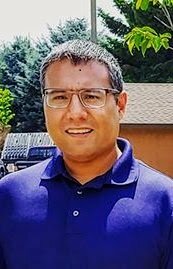 He has been married to his wife, Becki, for 18 years and they have three wonderfully energetic kiddos, Ethan, Veronica and Colin, whom John is certain will keep him active for the foreseeable future. Maddie Sowinski is the high jump coach here at Badger Track Club. She was a former member of Madison west side track club where she qualified to J.O. Nationals in the high jump in 2015. Maddie is currently a sophomore at Madison west high school. Both of her parents are marathon runners so she has been around the sport her entire life. Maddie is also a competitive gymnast and her goal is to do college gymnastics. 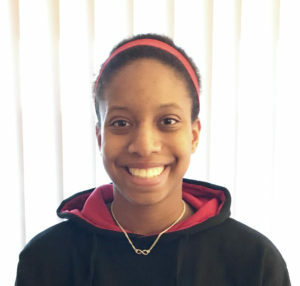 Jennifer Howlett lives in Madison with her husband and 3 children, one a lover of all things running, and when Coach Glenn retired saw a need for track to continue on the westside. She and a group of 4 other parents created a plan to continue the club. Luckily, Coach Scott stepped up and the club continued as the Badger Track Club. When not momming or at track she is a Medical Laboratory Technician at SSM Health St. Mary’s Hospital. This year she is moving from the club’s Manager to assistant coaching sprints. She is looking forward to a great season. Robert Ramos currently lives in Fitchburg and was born and raised in Madison Wisconsin. Robert coached for West Side Track Club from 2010-2016. 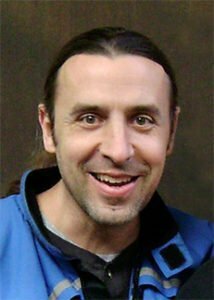 He was the sprints coach and co-founder of Oregon Track Club 2017,2018. Robert specializes in sprints and hurdles and holds a USATF Level 1 certification. He is also the head track coach at Holy Cross Lutheran school. Robert has been around track and field most of his life. As a parent and coach, he hopes to bring the same joy and enrichment to the community through track and field while uniting families the way it has his own. He is married to Bethani Ramos and has three sons, Rynaldo, Raul, and Ramiro. 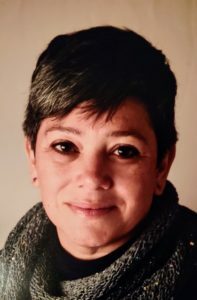 Bethani Ramos currently lives in Fitchburg with her husband Robert and 3 sons Rynaldo, Raul and Ramiro. Beth has assisted West Side Track Club, and Oregon Track Club with their team management and administration. 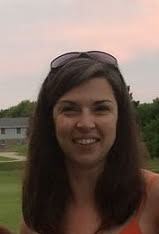 She also does team management for Our Redeemer Lutheran School and Holy Cross Lutheran for coach Robert. She has 25+ years of experience in childcare. 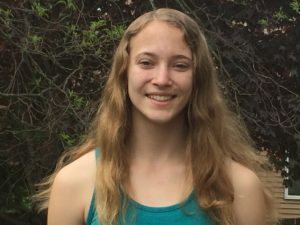 She was a co-founder of Oregon Track Club. Don Wigington lives in Middleton WI. Vice President of Sports and Health Programs for Special Olympics WI. Has coached Individuals with Intellectual disabilities for 15 years. Son Tyler is a High Performing Special Olympic and Paralympic Runner. Don is in charge of our Paralympic Track and Cross Country Programs. Kelly Kloepping is the Public Information Officer for Verona Area School District where she focuses mostly on creating consistent public relation’s messaging throughout the district’s 11 schools and all their constituent groups. She accomplishes this through her work on the website, social media, family/staff email & newsletter messaging, graphics design and video production. Previous to her current position, most of her career was spent with Special Olympics. 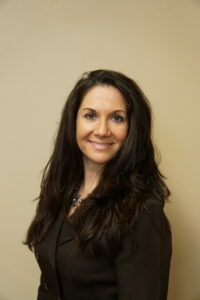 She began as the Director of Marketing, then was named Vice President of Communications for Special Olympics Wisconsin. During her tenure in Wisconsin, Kelly was nominated and hired in 2001 to the position of Director of Communications for Special Olympics Team USA. Since then, she traveled in 2003 to Ireland, 2005 to Japan, 2007 to China, 2009 to Idaho, and 2011 to Athens, Greece for the Special Olympics World Summer and Winter Games. More than a decade later, she made the move to Special Olympics Southern California as the Vice President in Communications and Marketing as Los Angeles had won the bid to host the Special Olympics World Games, bringing together more than 7,000 from 170 countries to compete in 25 sports. Kelly focused on tasks from media relations and graphics design to event planning, social media and website content. Previous to her career with Special Olympics, she spent five years in public relations with Wisconsin Bankers Association. Kelly worked her way up from administrative assistant in the communications department to media coordinator, followed by assistant director, then Director of Communications. Outside of her career, she is past president of the Association for Women in Communications Madison, WI Chapter, past president of the Wisconsin Communicators Council, a past board member of Madison’s “NEXT” group for young professionals, and currently a member of the Public Relations Society of America and the Wisconsin School Public Relations Association. She is a graduate of University of Wisconsin-Whitewater with a degree in public relations and a minor in journalism.